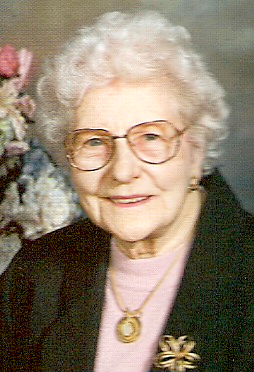 Anna M. Heidemann, nee Hoff, 94, formerly of Germantown, died Friday, January 12, 2007 in Chesterfield, MO. Mrs. Heidemann was born January 9, 1913 in Germantown to Henry and Mary (Michael) Hoff; they preceded her in death. She married Edward Heidemann on May 11, 1938 at St. Boniface Catholic Church in Germantown; he preceded her in death on May 8, 1994. Also preceded in death by a daughter, Jeanette Stein and a sister, Margaret Frerker. Surviving is a son Richard (Janet) Heidemann of Chesterfield, MO and a Son-in-law, Ted Stein of St. Louis, MO. Two Grandchildren, Richard (Nance) Heidemann, Jr. of Cleveland, OH and Jason Heidemann of St. Louis, MO. Anna along with her husband Edward were past owners of Starlite Restaurant in Germantown. Funeral Mass of Christian Burial will be Wednesday, January 17, 2007 at 11:00 am at St. Boniface Catholic Church in GErmantown with Fr. Stephen Humphrey officiating. Interment will follow in St. Boniface Cemetery, Germantown. Visitation will be Wednesday, January 17, 2007 from 9:00-10:45 am at the Moss Funeral Home in Germantown. Memorials can be made to Mater Dei High School or to the St. Vincent De Paul Society and will be received at the funeral home.